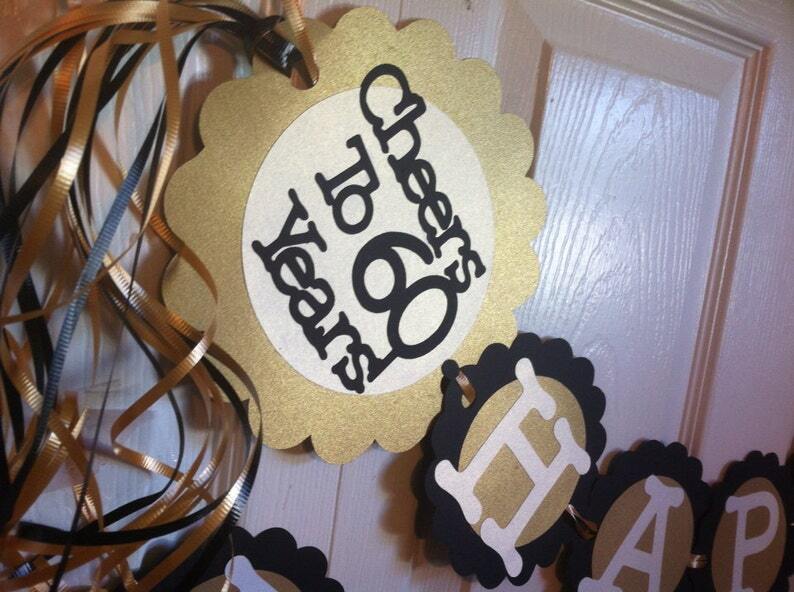 This is a super fun banner that can be put together in colors of your choice to celebrate a Big Birthday or Anniversary. Created in custom colors just for you. Please include the following on checkout. This item can also be personalized. Please feel free to convo with us for details and pricing. We can also put together other fun items in this theme for you as well such as centerpieces, confetti, party favors and more. Check our our other fun matching items in our Etsy store for more fun ideas. Have an idea on something you don't see, just convo with us and perhaps we can help. We Love custom orders. It was a beautiful! Very easy to use it... Delivery was on time. Excellent service. I will order with Beth in a future. Thanks so much!! Great looking banner! Perfect for our party!